White Tiger Creative Byron Bay Australia. Brand Design. MINGALABA ME. Playful brand design to reflect the eyecatching colourful woven baskets handmade in Myanmar (Burma) for Byron Bay, Australia. The brief was to design a funky and eye catching logo for product branding. The main criteria to create a stylised illustration of a burmese marionette doll. 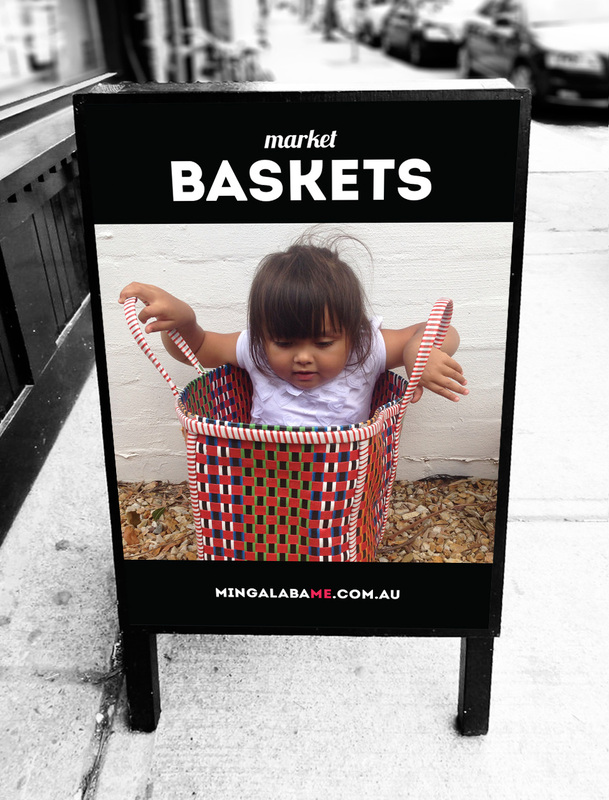 A playful brand design to reflect the personality of the eye catching colourful woven baskets handmade in Myanmar (Burma) for Mingalaba Byron Bay, Australia. The brief was to create a funky and eye catching logo for product branding with the main criteria of the design brief being to create a stylised illustration of a Burmese Marionette Doll.